Goshiki is popular by specialties in Ehime. 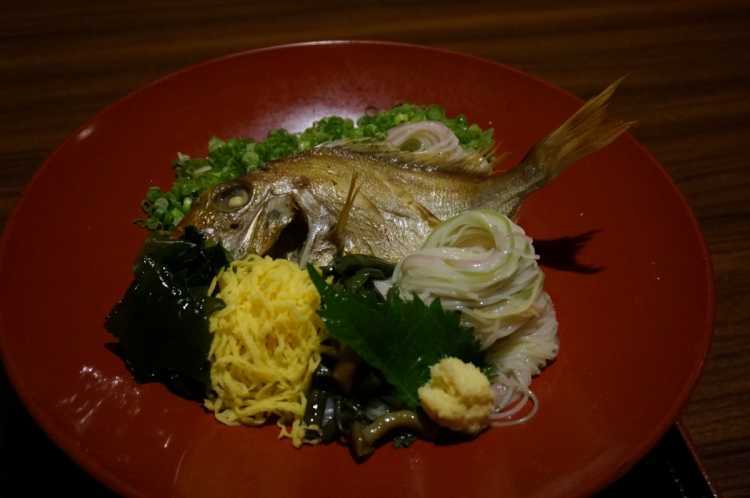 Among all, tai-somen noodle lavishly using a whole sea bream is very popular! Flaking the flesh away from the bone in stock soup thick enough to be excellent with alcoholic drinks, you can enjoy the superb dish!